Need to know what to post to get people reacting on social media? Here are enough ideas to post something new every day for a month! You're welcome. 1. Member/user/client spotlights: Help your tribe get a little famous for what they do, and you'll get the benefit of their social reach. 2. Facebook live: A quick behind-the-scenes look or sneak peek at an event is fun and exciting. 30 seconds is fine. 3. Awe-inspiring ideas, images, acts: What inspires YOU? Share it. 4. Big giveaway: Monthly, quarterly or even yearly sweepstakes can generate a lot of love on social media. Take a photo of the prize package, and share. 5. Behind-the-scenes: Reveal news, info, or images of your process. Think peeking behind the curtain! 6. Questions/ask for advice, opinions, survey: Great for both engagement and enlightenment. 7. Quote memes with text, attribution: Make your own quickly and easily with Unsplash.com and Canva.com. 8. Newsletters: Be sure to link to the online version. Use issuu.com for hard copy documents. 11. Facebook live interview: Get a tip, observation, from someone else. Can be a celebrity, expert or simply (wo)man on the street. 12. Recognition for receipt of award: Best if it is for a friend, but still good to share your humble joy at winning your own. 14. Seasonal message (holiday, etc.). 15. Your own reviews as content: Both reviews you've given and received. 16. Before and after images: Clean your desk? That's content! 17. Recommended free service or app: Be sure to tag the recommended service. 18. Infographics: Yours or shared from others. 19. Mail call: Look what came in the mail today! 20. Tips and tricks, hacks: You know stuff, so share it. 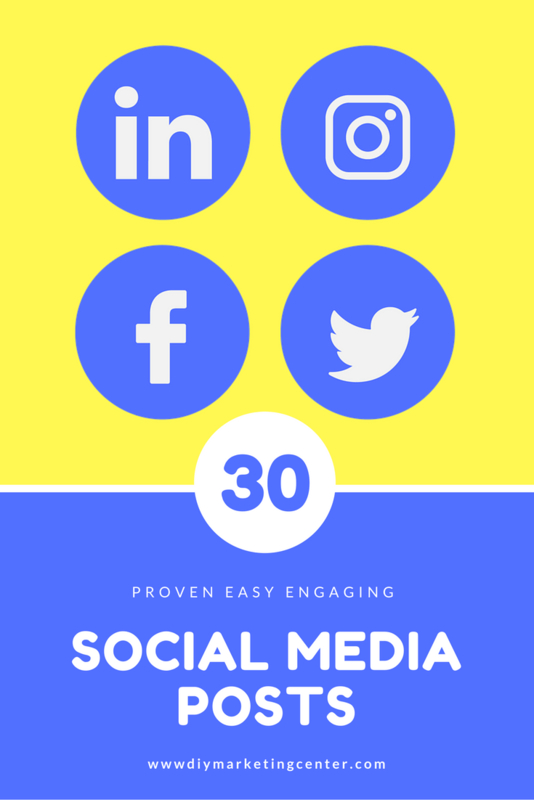 30+ Engaging Social Media Post Ideas © 2017 Veronika Noize. All rights reserved.